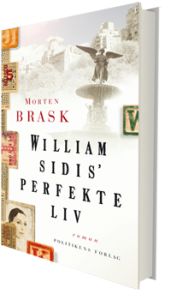 The Perfect Life of William Sidis is going to be published in Turkey in 2017. It is the Turkish publisher GOA Yayincilik that will bring the novel to Turkish readers. As William Sidis understood around 50-100 languages, chance is that he also knew Turkish. The perfect Life of William Sidis is sold to the French publishing house, Presses de la Cité, the Italian publishing house Iperborea and the Greek publishing house Kedros and now soon to be in Italian. The book is of course also availabable in Danish, English (not yet published) and soon German, but more about this later.